A deputy is someone who makes decisions for a person that lacks the capacity to make the decisions themselves. The decision to apply to become a deputy is not one which should be taken lightly. This page is full of useful advice, letting you know the process of applying for a deputy and what information you need to gather before coming to us to start your application. Who Can Apply For Deputyship? Anyone who is over the age of 18 can apply to be a deputy. It is usually a close relative of the person who needs help making decisions. It is important to note that to become a property and affairs deputy, you must be able to demonstrate the necessary skills required to carry out your role. The Court can appoint 2 or more deputies to any given person. If there is more than one deputy, then the court will inform you of which kind of joint deputy you are as there are two kinds. Jointly: Jointly means that you must come to each decision and agree on a decision together. Jointly and severally: Deputies can make decisions on their own or with the assistance and agreement of other deputies. If no-one is available to volunteer for the court to appoint then they will appoint a professional deputy also known as a panel deputy who will be selected from the Office of the Public Guardians list. How long does it take when applying for Deputyship? The timescale of the application varies greatly from person to person however, we usually say that it takes 2-3 months. If there are any complications in this process, then it will take more time. At Seatons, we will give you regular updates and keep you informed with what is going on. We will also act swiftly on your behalf to ensure that all updates are dealt with in a timely manner. 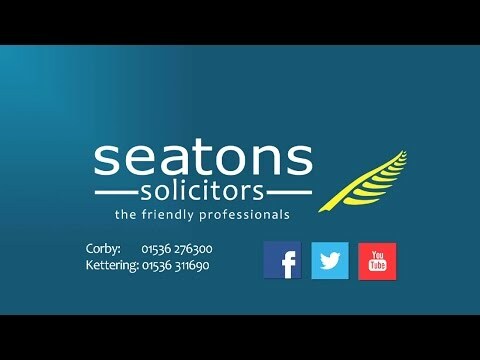 Here at Seatons we will ensure that we regularly keep in touch with you and we will ensure that you are always aware of the goings on in your case. Before applying to the Court of Protection, we recommend that you discuss it with the person whom the application is about family members. It sounds obvious, but it is better to find out that they do not approve of the order prior to applying for it! If there is a dispute, there is the option of having a joint protection order. This often applies to families where there is more than one child. The process of applying for a deputyship is relatively short, however, there are several stages where the application can come to a standstill and issues can arise. There are various forms which must be filled out accurately and it must be arranged for a doctor to come out and visit the person whom the application relates to and a mental capacity test must be carried out. Once this has been completed, all forms must be given to the court of protection where they will decide the next steps. There are some potential problems which may occur while applying for deputyship and reasons for the application to be denied. For example, if the person applying to become the deputy has filed for bankruptcy then it is deemed that they will not be able to handle the affairs of the person whom the application relates to. There are other common reasons for an application to be denied. The most commonly denied application is one for a health and welfare deputyship. This type of deputyship is only granted in special circumstances. The Court of Protection takes the view that the decisions that they make cannot impact the liberties and freedoms of the person. In a lot of cases, it is seen that taking the decisions, such as where they live, away from them it will be the case that their liberties will be reduced. We will explain the likelihood of success in your case and we will be honest, straightforward, and easy to understand. The Court of Protection, is the body which implemented the safeguards for people who may have lost their liberties and freedoms. An example of this is in a case in 2011 where Peggy Ross and her friend Norman Davies had booked to go on a cruise together, unfortunately Mrs Ross, who was currently residing in a care home was diagnosed with a form of dementia. The care home, who were trying to act in her best interests told her that she could not go on the cruise. Because of the long history of sharing cruises together, and the fact that aside from the dementia it was believed that she would have wanted to go on the cruise together. The decision was made that it would be a deprivation of her liberty and freedom to not allow her to go on the cruise. Who can respond to an application for Deputyship? When you apply to the Court of Protection, you must notify various ‘interested parties’ in the application. This is a very broad term and does not mean everyone that they have ever spoken to. It simply means those that are close to the person who has lost capacity. Examples may include neighbours, close friends and certainly means close family members. Any of those who have been served the notice are given 14 days to respond. If they do not respond to the Court of Protection in time, then the Order will be sent through. If at a later stage, an interested party finds out about the Court Order and they were not notified or listed as an interested party then they have the right to appeal to the court and can have the deputy removed. If you are someone who feels as though you should have been notified of a Court of Protection going ahead and wish to challenge the decision. Please call us for a free no obligation chat with one of our advisors who will be able to tell you a bit more. Here at Seatons we will work hard to ensure that this process is as seamless as possible and will work hard for you the client. We have years of expertise with the Court of Protection and will utilise all of them to help you. If you are looking to become a deputy for someone else in the Court of Protection, then please, do not hesitate, call us for a free initial chat on 0800 3 10 11 12. When you call, you will have a free, initial, no obligation chat with one of our friendly advisors. Here at Seatons, we are experts in dealing with the Court of Protection. We have a team of legal experts who will all go the extra mile for you, the client. We are known as the friendly professionals, we have done this by cutting out the legal jargon and ensuring that you fully understand what is going on when applying for Deputyship.